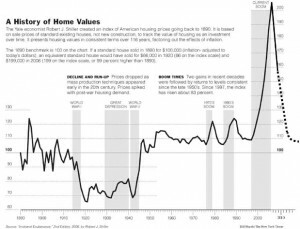 Instead of allowing the housing market to correct to its fair value, President Obama and Barney Frank will attempt to “mitigate” foreclosures. Mr. Frank has big plans for your tax dollars, “We may need more than $50 billion for foreclosure [mitigation]”. What this means is that you will be making your monthly mortgage payment and in addition you will be making a $100 payment per month for a deadbeat who bought more house than they could afford, is still watching a 52 inch HDTV, still eating in their perfect kitchens with granite countertops and stainless steel appliances. Barney thinks he can reverse the law of supply and demand by throwing your money at the problem. He will succeed in wasting billions of tax dollars and home prices will still fall 20% to 30%. 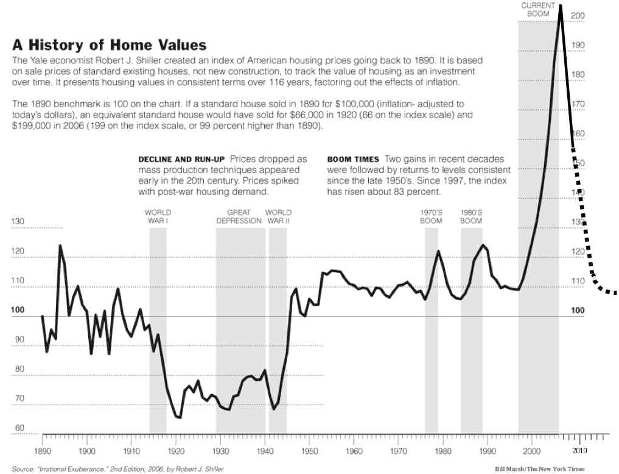 Unsustainably high home prices can not be sustained. I would normally say that even a 3rd grader could understand this concept. But, instead I’ll say that even a U.S. Congressman should understand this.